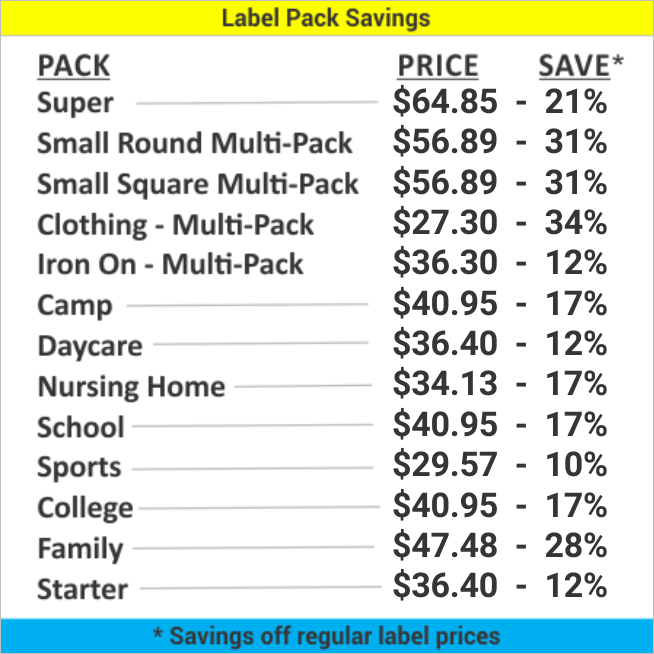 Label Packs Save You Up To 34%! 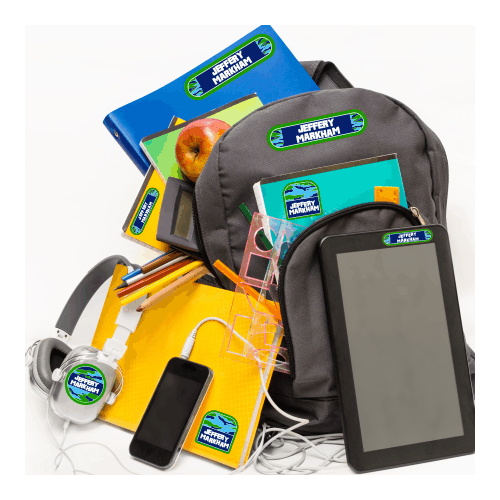 Our packs include our most popular, label sizes that work on everything. 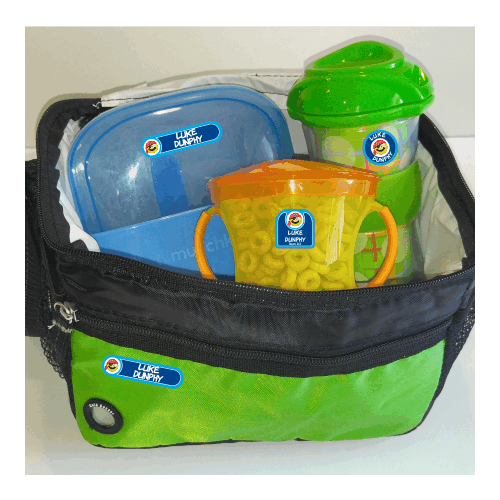 All packs include laundry-safe labels for clothing. 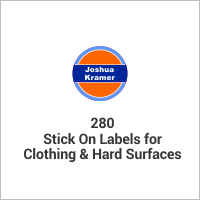 Most packs include waterproof labels for hard surfaces. Select your label pack below to get started! Our Label Packs Save You Time and Money! 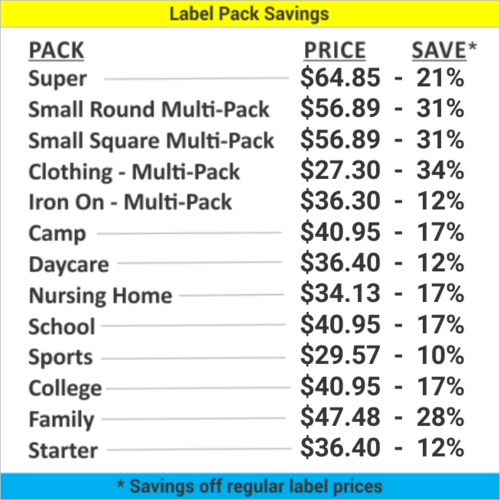 Our value packs save you the headache of trying to figure out how many labels you need, WHILE saving you up to 31% at the same time. 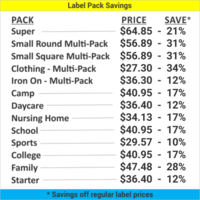 All of our packs include laundry safe labels for clothing items. 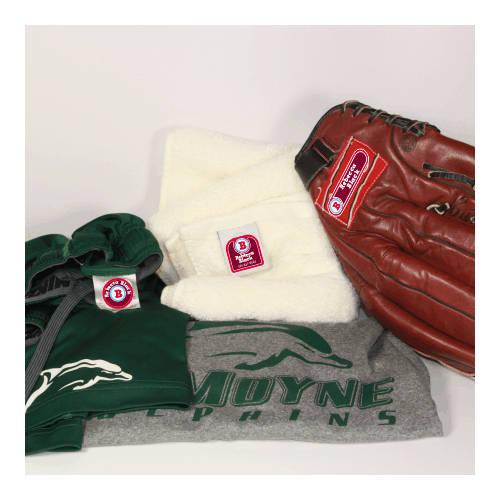 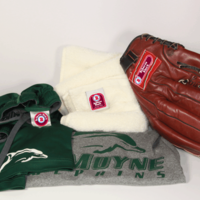 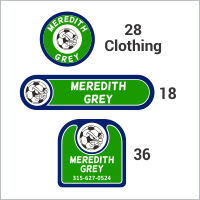 The clothing labels are perfect for camp, daycare, school, nursing homes and more. 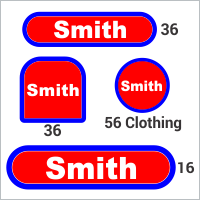 Whenever you need a bunch of labels for all sorts of different things, (even clothing), and you're not quite sure how many you need - one of our label packs is the answer. 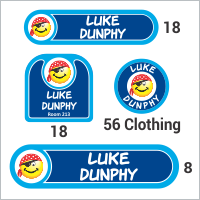 A pack of stick on labels is the perfect way to ensure that items don't get lost. 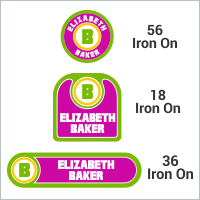 Design unique, one-of-a-kind, waterproof and laundry safe labels using our simple design center. 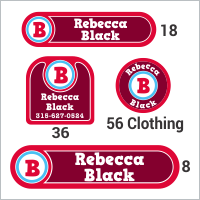 Then just peel and stick the labels onto everything you need labeled. 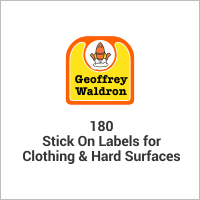 All of our packs include laminated stick on clothing labels as well as laminated waterproof stick on labels in our most popular label sizes. 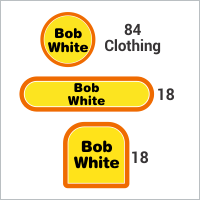 These laundry safe labels will stay stuck wash after wash! 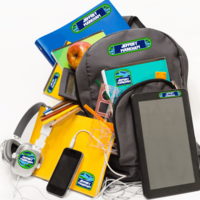 Made with a super sticky adhesive, you'll never have to worry about digging through the lost and found pile or replacing expensive belongings that have gone missing. 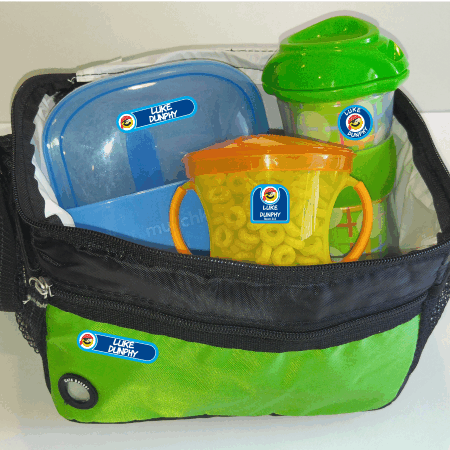 Our stick on label packs are perfect for the whole family! 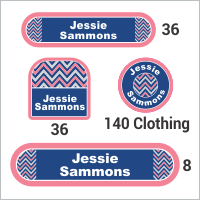 From sports equipment to school supplies and more, you can design labels that are perfect for every use and every person in your life. 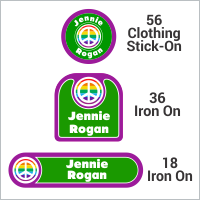 Create your own personalized label packs today!